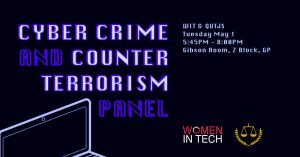 These societies, who are both passionate about the intersection of technology and the justice system, have come together to provide students a unique opportunity – to discover how cyber crime and counter terrorism works within and influences our justice system. This evening is a great opportunity to listen to amazing professionals and their career journeys in the field. It’s also a fantastic way to network with the professionals and other students and possibly open up more opportunities for yourself! 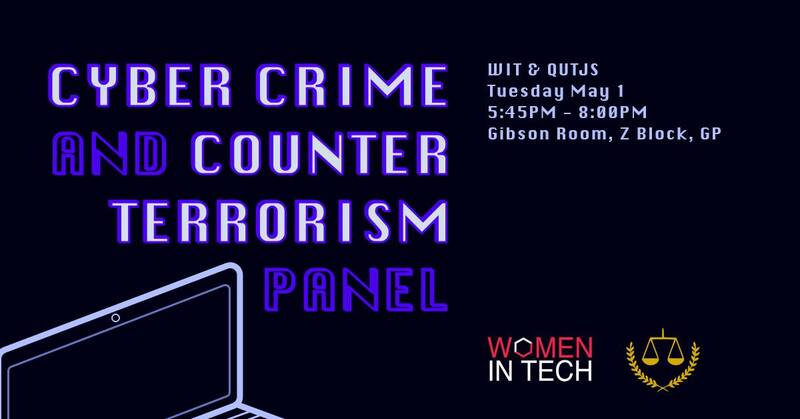 So if you’re trying to figure out what field of justice works well for you or if you know that cyber crime and/or counter terrorism is what you want to work in and want some more information or if you’re just really interested in the area, then come along for a lovely and very informative evening with us! Catering will be provided. Please purchase your FREE tickets to assist with catering and dietary requirements.